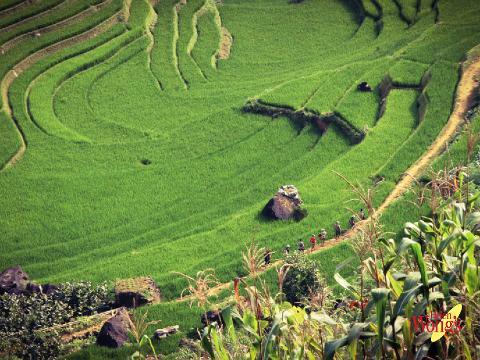 Depart Australia on your Vietnam Airlines flight to Hanoi. On arrival, you will be met and transferred to Chalcedony Hotel or similar for 2-nights. Relax and enjoy the remainder of the evening in this historic and vibrant city. 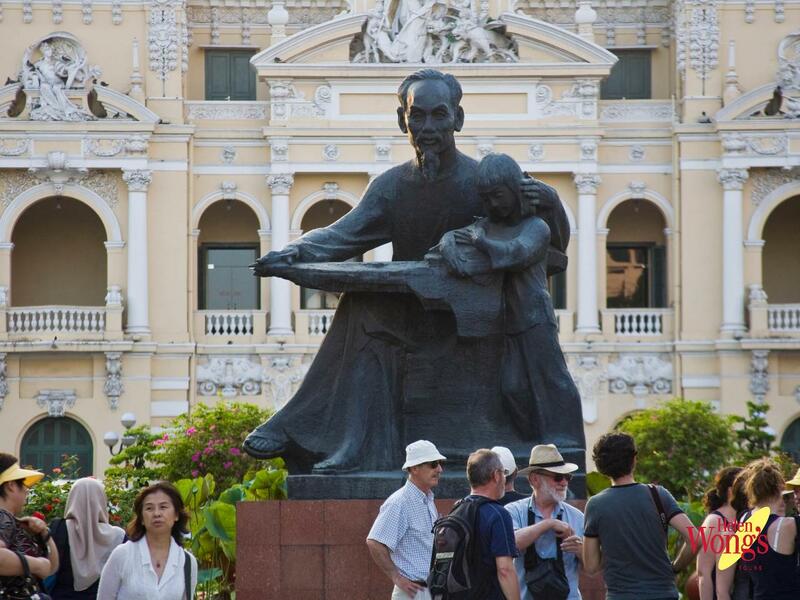 Explore the capital, visiting Ho Chi Minh’s Mausoleum, the former leader’s wooden cottage and the One Pillar Pagoda. Stop at the Temple of Literature, which dates from 1070. The gardens and well-preserved architecture offer a glimpse into Vietnam’s past. Head to the Museum of Ethnology to see its display of life-size structures dedicated to Vietnam’s 54 ethnic minority people. Visit Ngoc Son Temple before taking in the sights of the “36 Streets” in the Old Quarter by rickshaw. Continue to visit West Lake and one of the country’s oldest Buddhist structures, Tran Quoc Pagoda. Enjoy the world-famous Water Puppet Show. After breakfast, depart for the Red River Delta via the rich farmlands and villages and the UNESCO World Heritage listed Halong Bay. 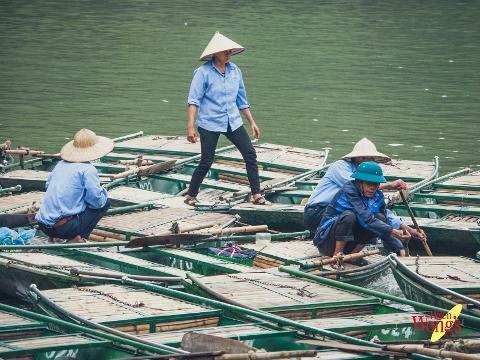 Board a traditional Vietnamese “Calypso” junk for an overnight cruise experience. Marvel over the limestone islands that pierce the waters of the bay. The limestone karsts are littered with beaches, grottoes and caves, some of which you will visit. 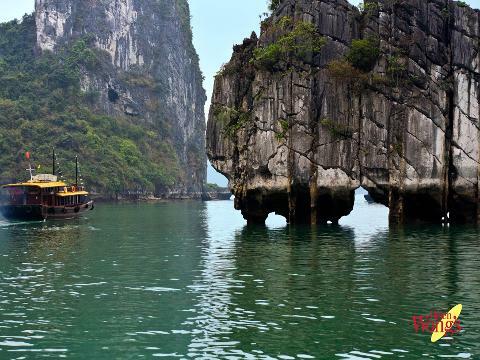 Watch the sunrise over the bay while your cruise continues to Tortoise Islands and Luon Cave by a small bamboo boat. After brunch, check-out and continue to travel through Bai Tu Long to Bay Chay where you will disembark. Transfer to Hanoi Airport for your flight to Hue, Vietnam’s last feudal capital, staying 2-nights at Moonlight Hotel or similar. This morning you will take a boat ride along the Perfume River to see the Thien Mu Pagoda. Continue to visit the mausoleum of Emperor Minh Mang & enjoy a special vegetarian meal with the nuns of Dong Thuyen Pagoda. In the afternoon, visit the Imperial Citadel and Forbidden City, created in the 19th century. 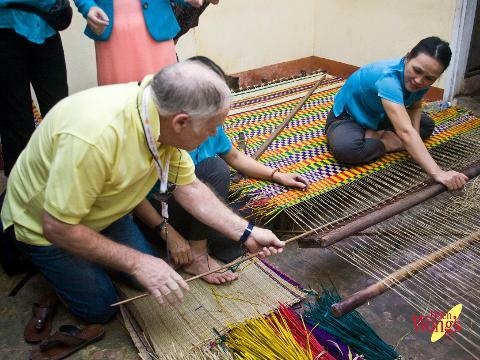 Enjoy some “retail therapy” at Dong Ba Market before transferring back to the hotel. This morning travel to Danang stopping at Lang Co Beach, one of the world’s most beautiful bays. Continue on to Danang to visit the Cham Museum and then head to the World Cultural Heritage Site of Hoi An Ancient Town. Enjoy some free time on a walking tour through the narrow lanes of the town, lined with century-old buildings and illuminated at night by hundreds of colourful lanterns. Discover the traditional shophouses and temples, and the iconic Japanese Covered Bridge. Stay 2-nights at Belle Maison Hadana Hoi An Resort & Spa Hotel or similar. Enjoy a day at leisure to explore Hoi An on your own. You can choose to swim in the ocean or the pool, go shopping, get a relaxing spa or pampering massage, visit one of Hoi An’s famous tailors to get great outfits made to measure or relax at the hotel – the choice is yours. This morning transfer to the airport in Danang for your flight to Ho Chi Minh City, which until 1976 was known as Saigon, staying 3-nights at Golden Central Saigon Hotel or similar. Enjoy a half-day city tour in the afternoon visiting the Reunification Palace, the Notre Dame Cathedral and the History Museum. The remainder of the day is at leisure. Travel to see the famous Cu Chi Tunnels. Constructed by Viet Cong fighters during the Vietnam War, these tunnels ran directly under military bases and were used both as shelters and to stage surprise attacks. Then travel to Tay Ninh to visit the Cao Dai Great Temple. The ‘Holy See’ is one of the most striking and unusual structures in all of Asia, blending the styles of a Western cathedral, a Chinese pagoda and the lurid colours of a Disney cartoon. A full day tour of Ben Tre, a bustling town in the rich agricultural region of the Mekong Delta. Upon arrival in Ben Tre, take a short stroll through a shaded area of coconut gardens before reaching a rest-stop to enjoy freshly picked fruit, a cup of honey tea and a traditional folk song performance. Walk further to the river bank where you will continue your journey by sampan and take the time to discover the maze of small palm-lined canals. You will have the chance to see a family-run business where they make coconut candy. Then embark on another motorised boat ride towards Turtle Island and enjoy a leisurely walk through the village observing the fruit orchards along the way. Enjoy lunch at a local restaurant serving typical Mekong dishes. After lunch, cruise to Chuong Duong waterfront pier where you can take in the Delta scenery of houses built on stilts and local fish farms before transferring back to the hotel in Saigon. 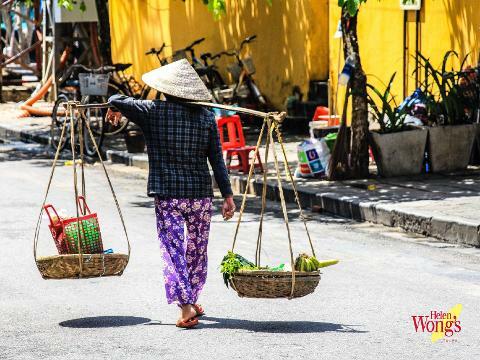 Day at leisure till late afternoon, You can opt to do some last-minute shopping at the great shopping paradise Dong Khoi Street with its bustling Ben Thanh Market, jam packed with shops and food stalls or just relax at the hotel. Your tour comes to an end today as you are transferred to the airport for your overnight flight home.